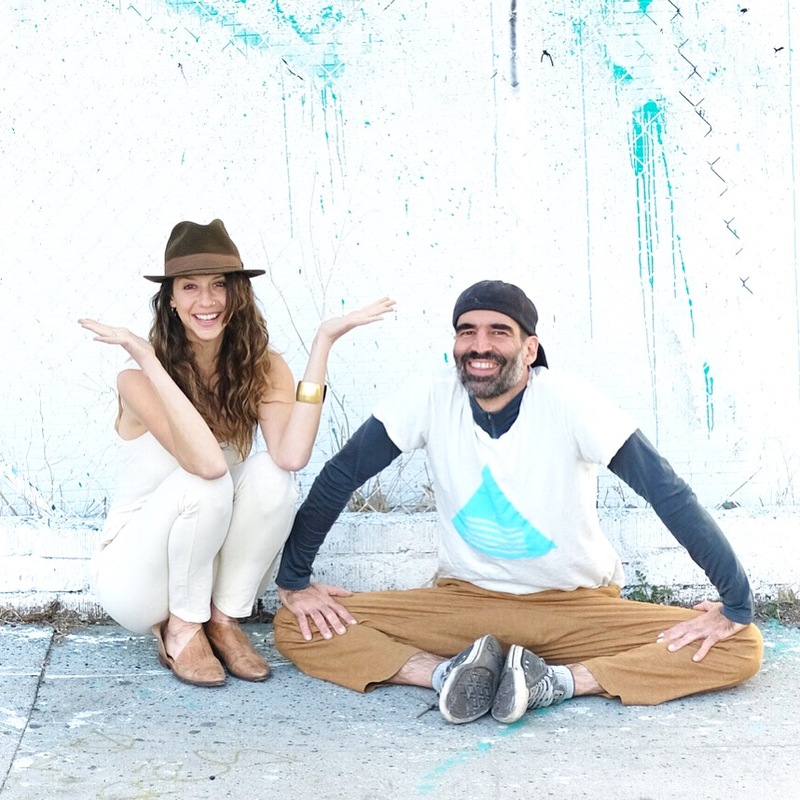 Let's come together to give back for the gift of yoga we have received! 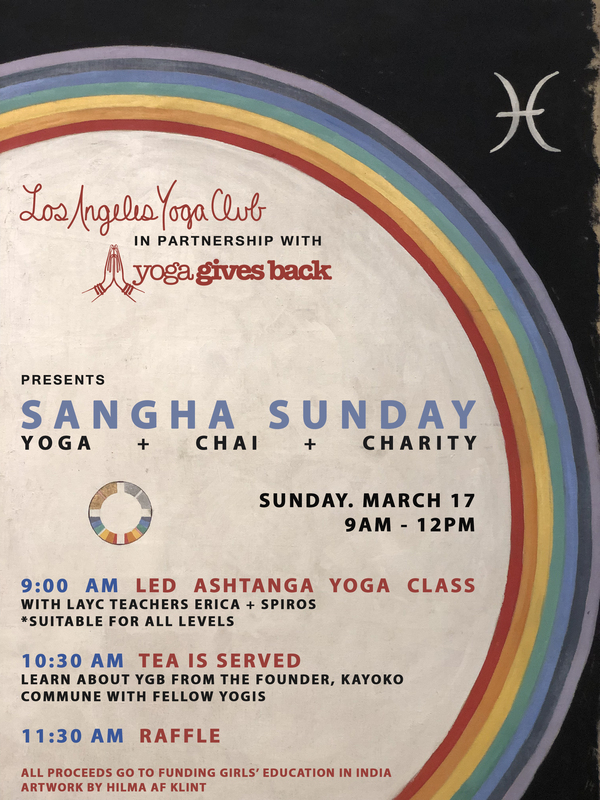 Special Sangha Sunday presented by Los Angeles Yoga Club to support Yoga Gives Back.Los Angeles Yoga Club's Founders Erica and Spiros will teach a led Ashtanga Class for all levels at its beautifully renovated DTLA studio. Specially made chai will be served, followed by YGB Founder Kayoko's short talk about YGB. Raffle for everyone with generous prizes from our sponsors. Sponsors include Fourth&Heart, Zico Coconutwater, Jala Clothing, Liforme, OmSutars, Vegan Rob's and GoMacro. In its 12th year, Yoga Gives Back is supporting more than 1200 underserved women and children in India as a way to give back for the gift of yoga we have received in our lives. YGB's programs offer micro loans and education funds for a minimum of five years for each person to plant a seed for a real transformation. Let's spend this Sunday morning together with a fun yoga class while uplifting lives of those who need our support.